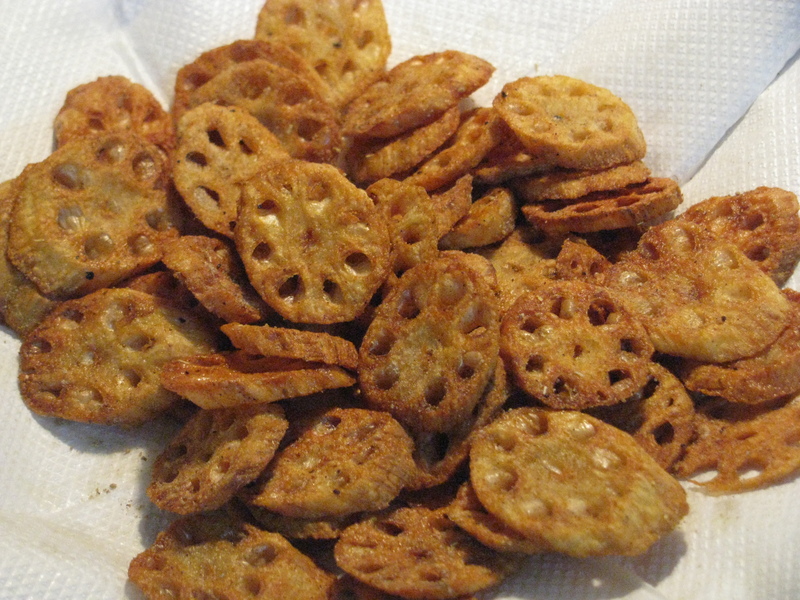 Lotus stem / kamal kakdi chips taste best and look good; it’s a nice kamal kakadi recipe which kids love to have it in their snacks. 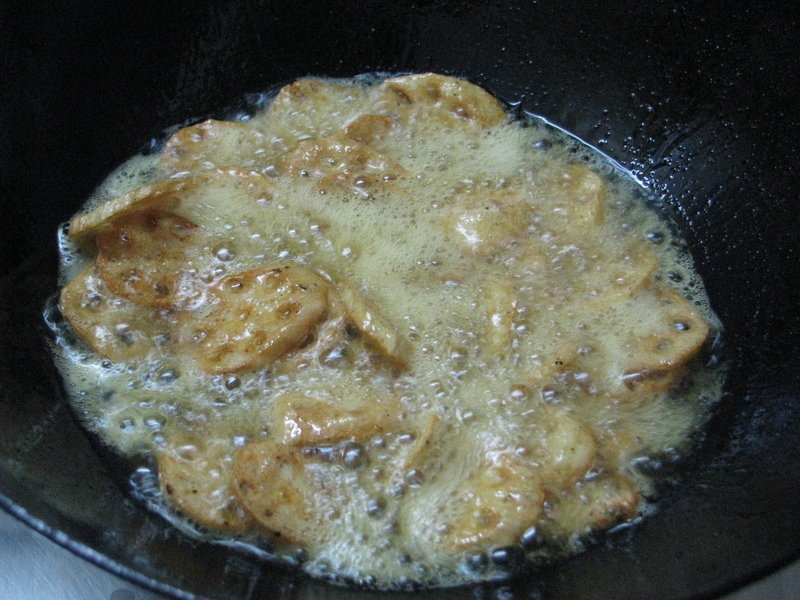 I have cooked kamal kakdi in microwave and then I have fried it, if you fry it directly it will become soft and you have to fry it two times to make it crispy. When you cook it in microwave it gets enough dry and cooked for frying, there is no difference in taste by both methods. 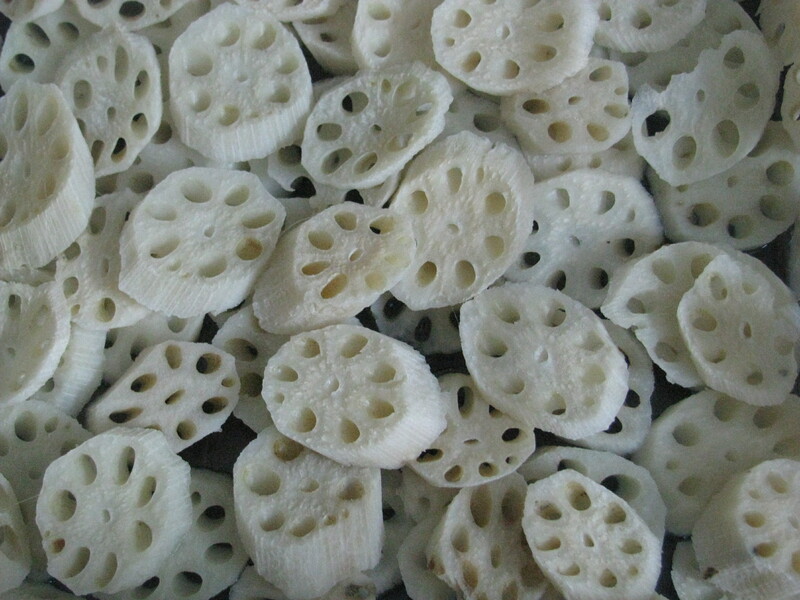 Wash kamal kakdi (lotus stem) with clean water. And cut it in ½ cm thin slices, wash this slices if you see mud particles in it. Take all the slices in microwave safe bowl, add salt to it mix it nicely and cook it for 10 minutes on high power in microwave oven, let it cool down. 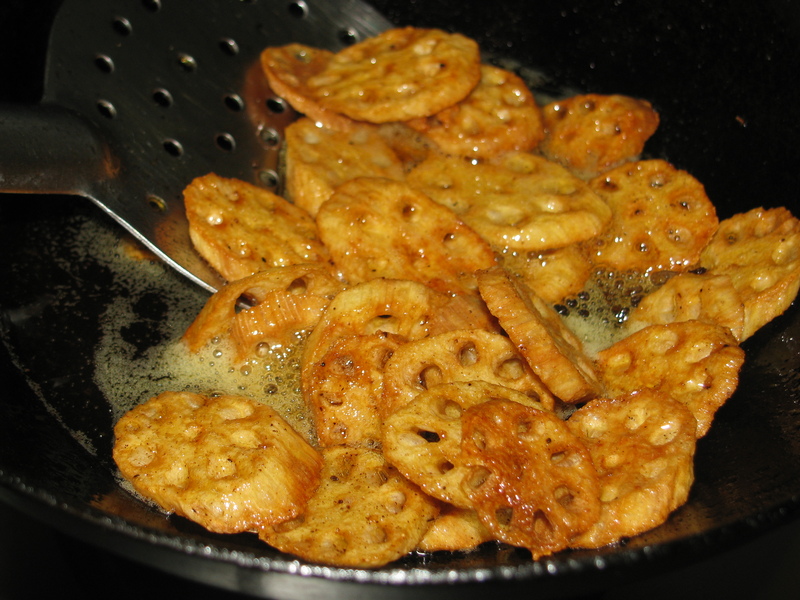 Heat the oil in a frying pan and fry this kamal kakdi chips on low flame. 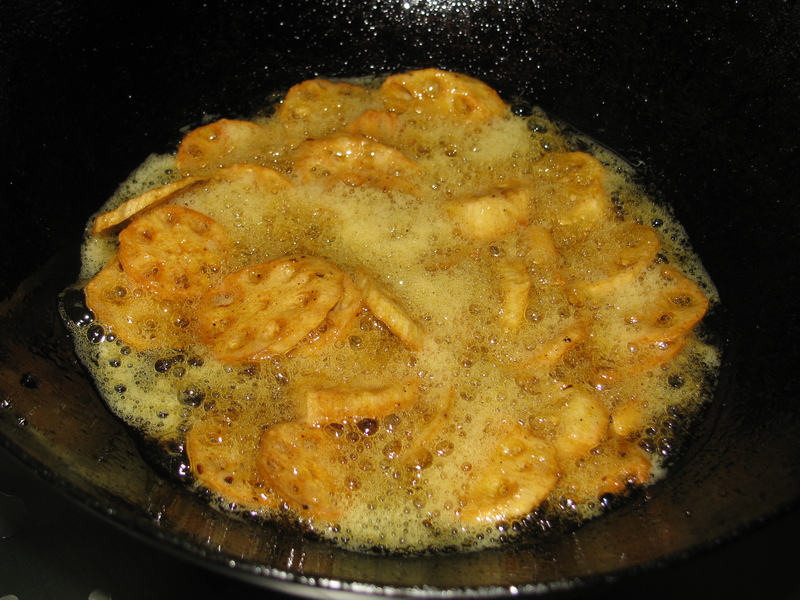 Put kamal kakdi chips few at a time in a frying pan , so they don’t overlap on each other . Fry the chips until it becomes golden brown on both side , once it’s done remove it on paper towel to absorb the oil and seasoned it immediately with red chili powder, black salt ,chat masala and serve it.